The Parka comes wrapped in plastic, like many garments shipped form the manufacturer, with a return label (and instructions) already in the box in the case you need to exchange it. Also included is some basic paperwork on the “mission” of the company and a packing slip. Once removing the Parka from the plastic, it feels very well made and durable. It’s a little on the heavy side, especially since I’ve been using nothing but light weight application specific jackets for the past few months, but the build quality is hands down impressive, as you should expect with a garment like this. The Tactix Parka uses high quality YKK zippers on both the parka and the liner (that can be removed and used on its own), so they seal out the weather really well and are very smooth. They just help add to the overall feel and use of the parka. As I mentioned, the liner is removable from the shell and wearable as a jacket on its own. It’s a simple process to remove it, simply unzip a zipper on either side and un-Velcro the cuffs and you’re done. The sleeves of the liner are secured to the shell using the Velcro wrist adjustments on the liner (they slide through a small section of fabric and lock the cuffs together; durability of this attachment point yet to be determined, though I haven’t ripped them out yet). The only downside to this is if you want to secure the sleeves in the liner, you are basically removing any adjusting you may have done to the cuffs of the liner… though, it’s nice because with the cuffs fully opened, it’s a lot easier to put on the jacket. 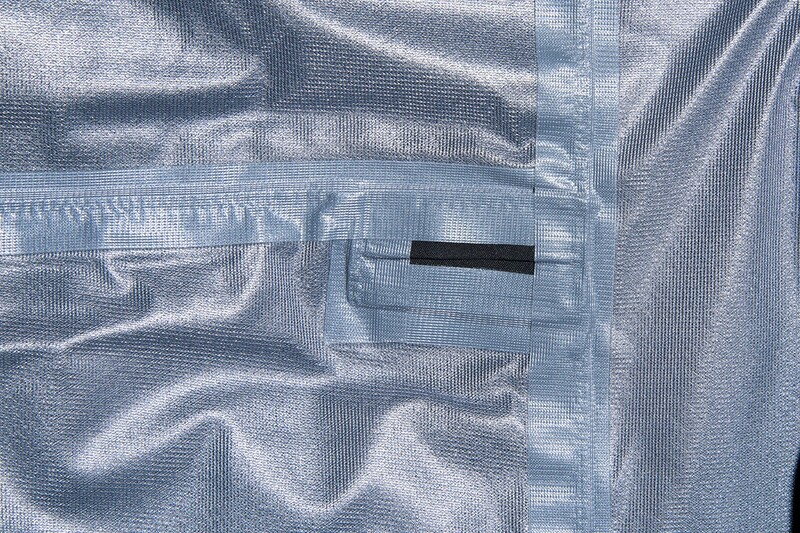 The shell of the Tactix has fully taped seams. This will help keep rain and wind out, as well as add a good bit of durability. Pockets, pockets, pockets. 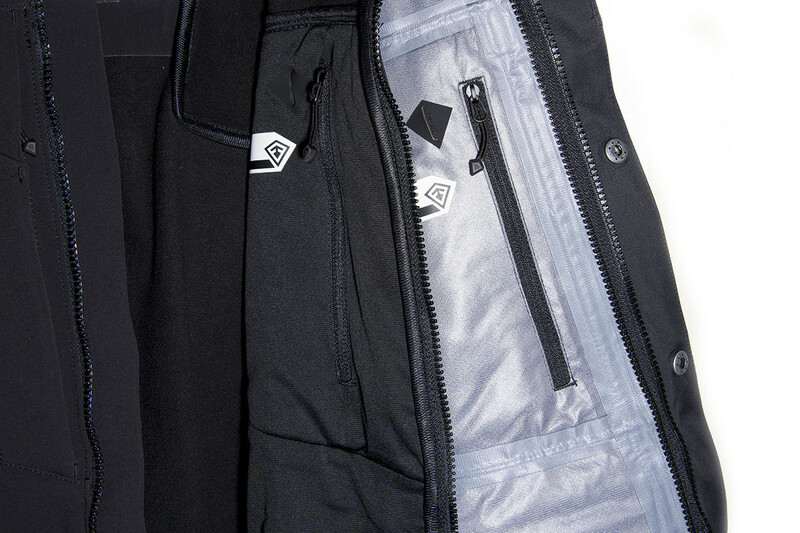 The Tactix Parka has more pockets than you should ever need. From my counting, there are 17 pockets, not including pen holders and other attachment points. Some are designed for use with just the shell or just the liner, but dang there are a lot of pockets. 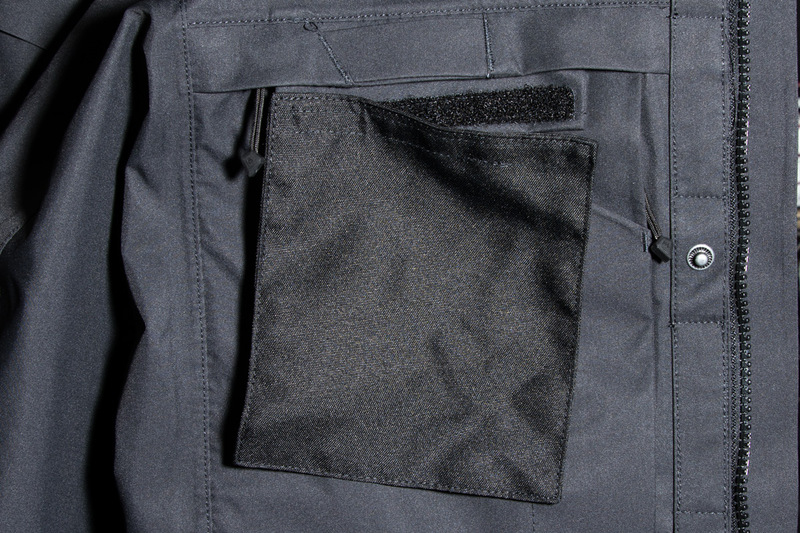 Also, with the pockets, there are 3 pockets in the liner that have Velcro attached panels for agency patches/badges (two on the front, on the left and right chest, and one on the back). The pocket on the back will hold a patch 10″ x 8″, the front will hold patches or badges up to 5.75″ x 6.75″. The hood is also pretty nice, it has multiple adjustment points, one for width, one for height, and one for tightening the opening. The adjustments are standard pull cords with stoppers, so they are pretty easy to adjust on the go. I’ve never had a jacket with a hood that had the width adjustment, but it’s nice for “snugging” things up depending on the size of your head and if you’re wearing a hat or other head gear. The hood is also completely removable, it’s attached by two snaps, a zipper, and some Velcro so it’s relatively easy to remove, but also very well attached. 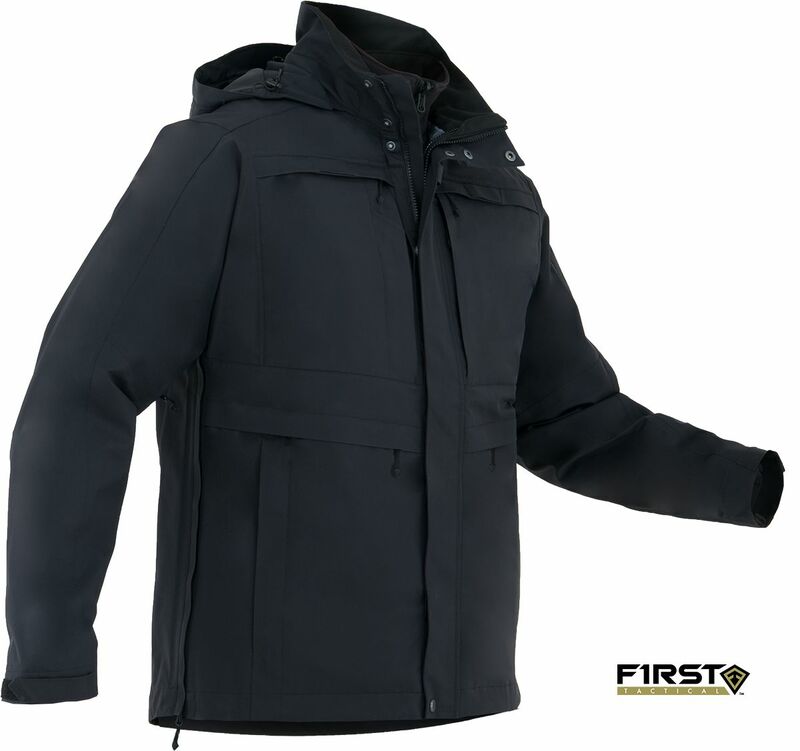 Since the Tactix Parka is designed for duty use, along with the attachment panels for patches and badges, the shell and liner both have side zippers that allow you to flair open the sides so you can have access to belt mounted equipment easily. These are needed because the overall length of the parka is down to about upper leg level, covering anything on your belt. Also, the shells side zippers can be opened from the pits down, or from bottom to the pits. Basically all of the outside main zippers on the shell can be zipped from top to bottom, or bottom to top. Something that is pretty nice feature for being able to get to gear on your belt or harness, and to just dump heat. Some of the other nice “finishing touches” are things like the adjustment pull coords for the waist of the liner and shell that feed inside the side pockets. This keeps everything nice and tidy, so there are no dangling coords, etc. There are also stoppers inside the pockets to keep the ends from slipping out. 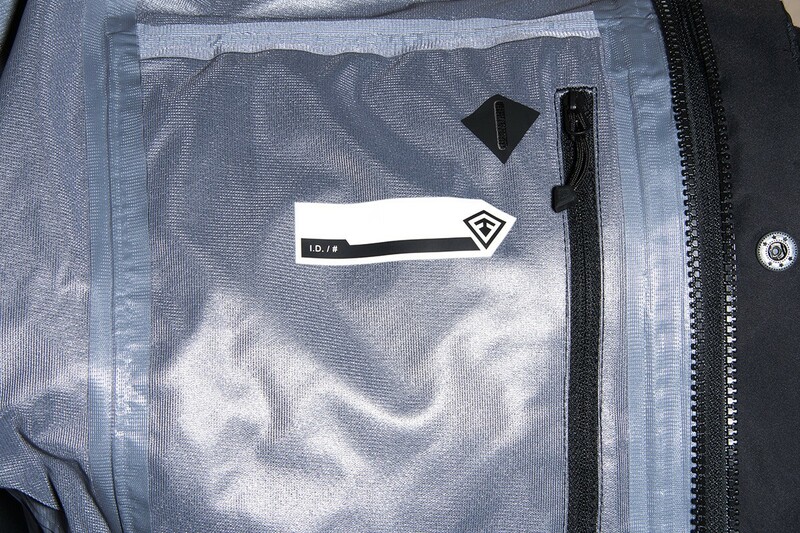 Also, things like storage flaps for zippers, areas to write your name/badge number on the inside of both the shell and liner, as well as just overall nice and clean stitching round the Tactix Parka out to be one hell of a nice package. The liner, on its own, isn’t the warmest thing on the planet, but it does a good job. It doesn’t block a ton of wind, and doesn’t breath like performance athletic wear, but that’s not really what this is designed to be. For a liner in a durable, warm, and weather resistant package like this, it works very well. The shell is extremely water and wind resistant. Water beads off of it like you would expect with a good shell, and it stops wind like a pro. Wearing the liner and shell combo in cold weather is a little mixed… For me, someone that runs pretty warm most of the time, the shell and liner in a low activity environment worked for me down to about 35°F. Any colder than that and I was wishing I had another layer on. For duty or other activities, if you had a couple layers, like a long sleeve shirt or thermals on as well as the parka, it would work down to sub-freezing temperatures. If you add some activity into the mix, it should also hold up pretty well, even in quite cold climates. This is obviously subjective to the end user, so your mileage may vary. As for heat dissipation, if I really move around with the jacket and or liner on, I get warm real quick. This isn’t something new for me, but this combo doesn’t breath as well as more technical garments. Fortunately the shell has pit-zippers to help dump out heat, something that definitely helps. Bottom line, as far as warmth, rain protection and heat management, the Tactix Parka is a good option; it works sufficiently well in all aspects and I don’t think anyone would be disappointed in the performance when used as designed. One of the most important things, to me, for a jacket is the fit of it. It needs to not be too tight or too baggy. Bottom line, I have a hard time finding jackets that fit me because I’m generally right in the middle of the size spectrum between a medium and a large. Just for reference, I’m 5’8″, 170lbs, 31″ waist and a 44″ chest. Generally things are too tight up top, too loose around the waist, and the sleeves are too long. The Tactix I received is a medium, and for 90% of the fit, it fits great. However the chest, and underarms are a little on the tight side. I am able to fit the full Tactix Parka on over an undershirt, vest, and t-shirt, but it’s pretty tight up top. And the vest I have is a newer lightweight and thin IIIA vest. So if you’re planning to get something like this and you have to wear a bunch of stuff under it, and are any where near my dimensions, I’d size up to a Large. Otherwise, each part of the parka fits quite well and is not restrictive or binding in any way. Weight – Weighing in at 3 lb 11.8 oz total, the Tactix isn’t a light weight garment. The shell weighs in at 2 lb 1.4 oz and the liner comes in at 1 lb 10.4 oz. Construction – The shell is comprised of 100% nylon and the liner is 85% nylon and 15% spandex. 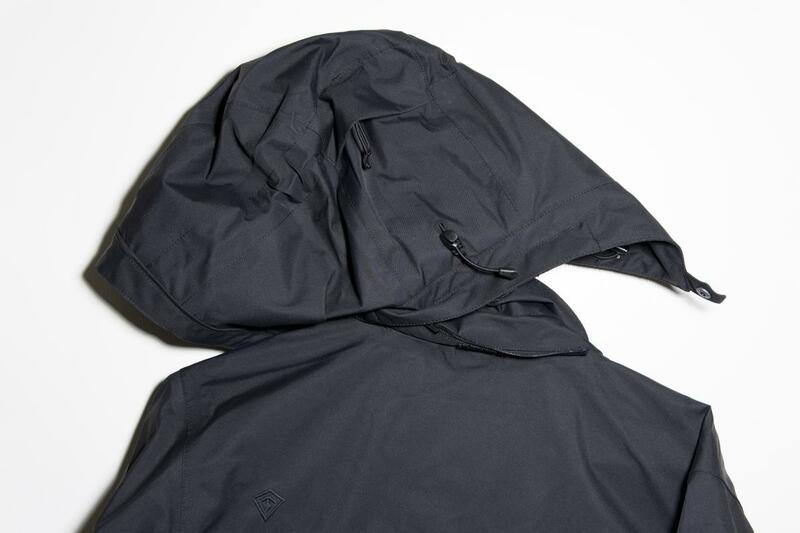 Bottom line, I like the Tactix System Parka… Since I’ve had it, I’ve worn at least the liner almost every day, and on a couple colder and wet days, I’ve worn both the shell and liner. This is really my go-to determination with clothing; if it’s what I reach for regularly without thinking about it, it’s moving up to the front of the closet. 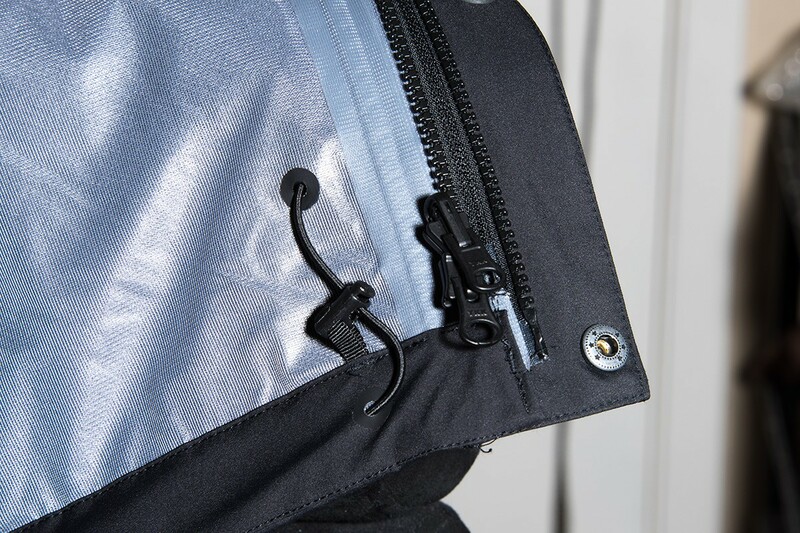 The only negative that I have on the Tactix is that because the zippers on the shell and liner can zip open up, or down, sometimes when I try to zip things up, I pull them apart before the zipper is fully seated and the zipper gets a little snagged. Basically you just have to hold the zipper down when you are initially zipping it up, it’s not a real problem now that I know I need to do that. Otherwise I haven’t had a single issue with it. 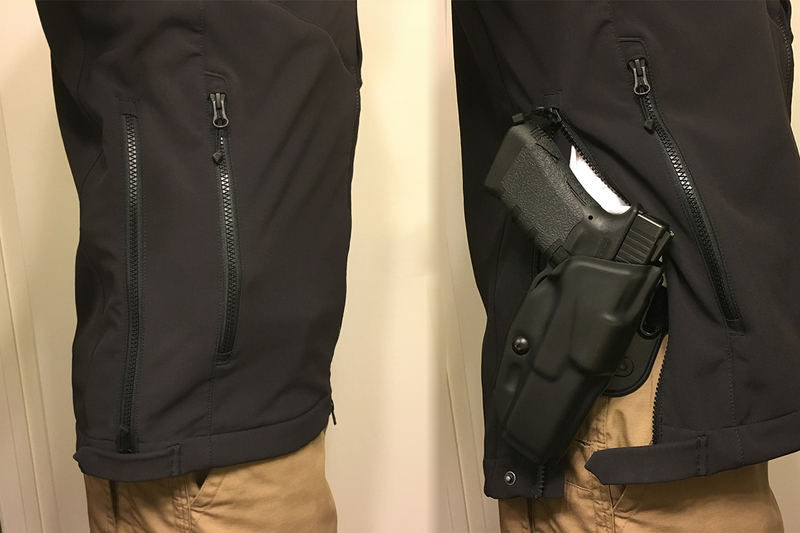 Pockets, pockets and more pockets, pit-zips, removable liner, zippers for side belt access, locations for agency patches, a 3-point adjustable hood, this thing has everything. 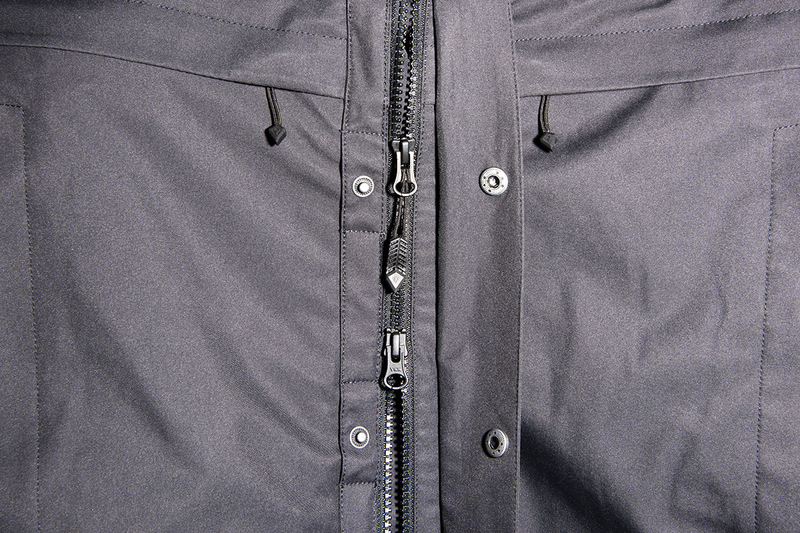 Good stitching, taped seams, YKK zippers, bottom line, the Tactix is well made. At the MSRP of $299.99, I feel like this package is a good buy. For a durable system like this, with all of the options that this has, you get a lot for your money. Overall, this is a good jacket. If you’re looking for a new duty, or durable jacket for whatever your needs might be, this is definitely worth a look.